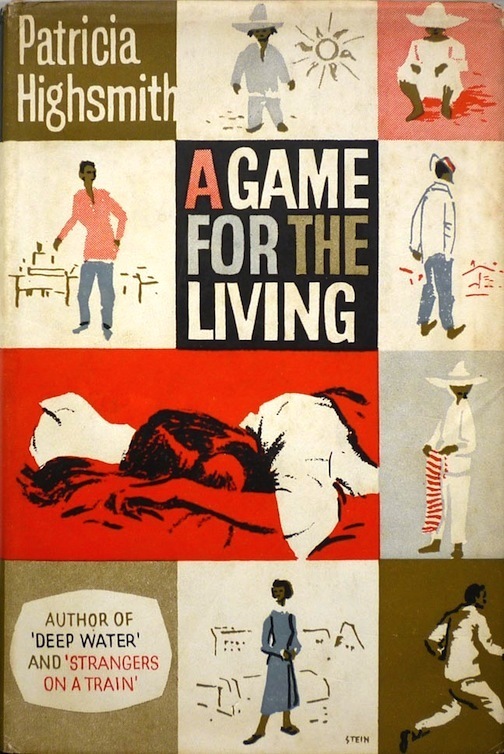 First published in hardback in the UK by Heinemann in 1959 (a year after the US Harper edition), A Game for the Living was Highsmith's sixth novel, and the last to be published in the 1950s. Copies of the Heinemann first edition are in pretty short supply: there are only five listed on AbeBooks at present, one lacking a dust jacket, and the other four ranging in price from just over £30 to £150. 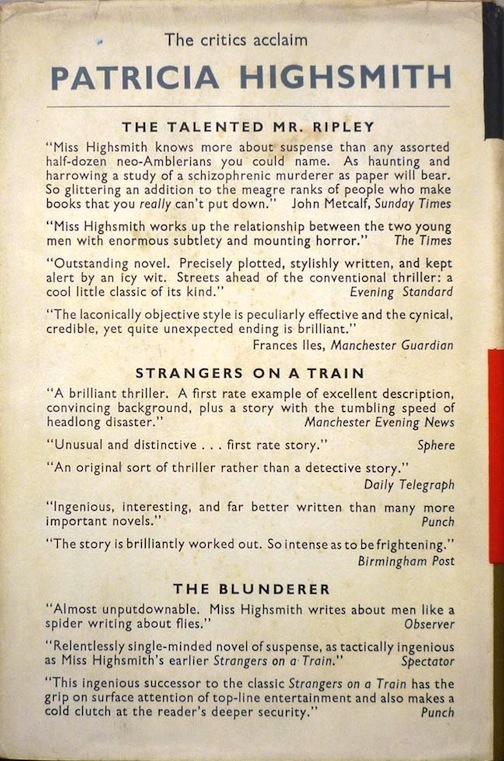 The lovely (and little-seen) wrapper was designed by Stein, who was quite active in British publishing in the 1940s and '50s, designing jackets for Carter Dickson, Joan Fleming, Georgette Heyer and others. 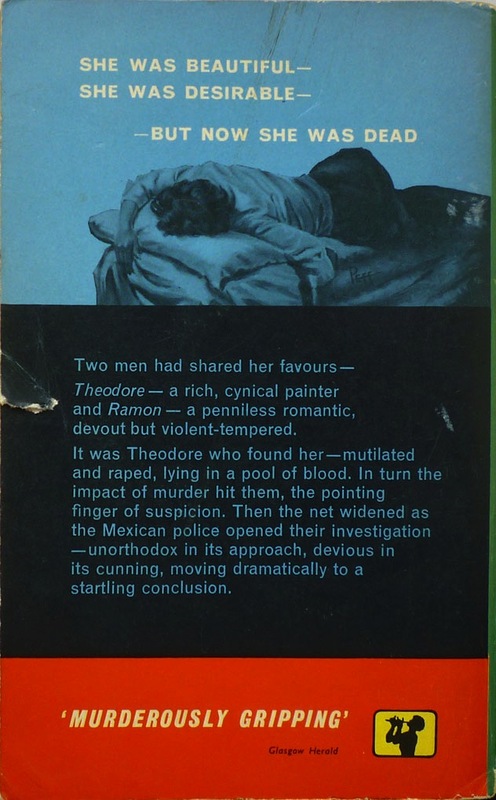 I had tried to do something different from what I had been doing, but this caused me to leave out certain elements that are vital for me: surprise, speed of action, the stretching of the reader's credulity, and above all that intimacy with the murderer himself. I am not an inventor of puzzles, nor do I like secrets. The result, after rewriting the book four times in a grueling year of work, was mediocrity. I always say to foreign publishers, and to publishers who contemplate a reprint, "This is my worst book, so please think twice before you buy it." However, I believe that any story can be told properly, using some of the writer's stronger points, but the writer must first be aware of what his stronger points are. I disobeyed my natural laws in this boring book. Once again UK trumps US in DJ art. I really like this one. 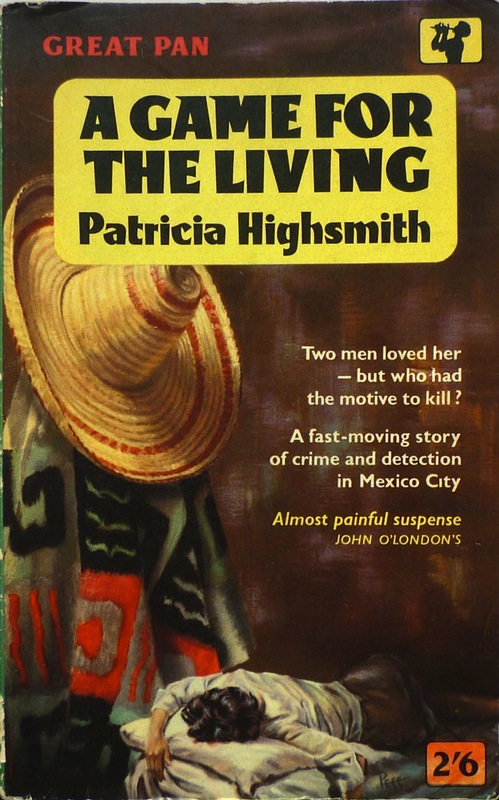 The US Highsmith jackets I own are less than spectacular. But you've sparked me to post a response (a la YouTube video maniacs). 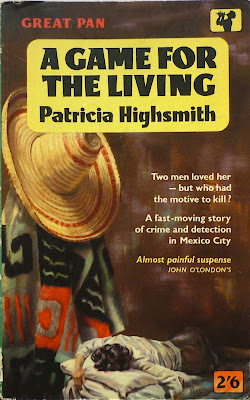 So be sure to check my blog this weekend when I post a "Jacket Required" tribute to Highsmith. I'll do that, John. 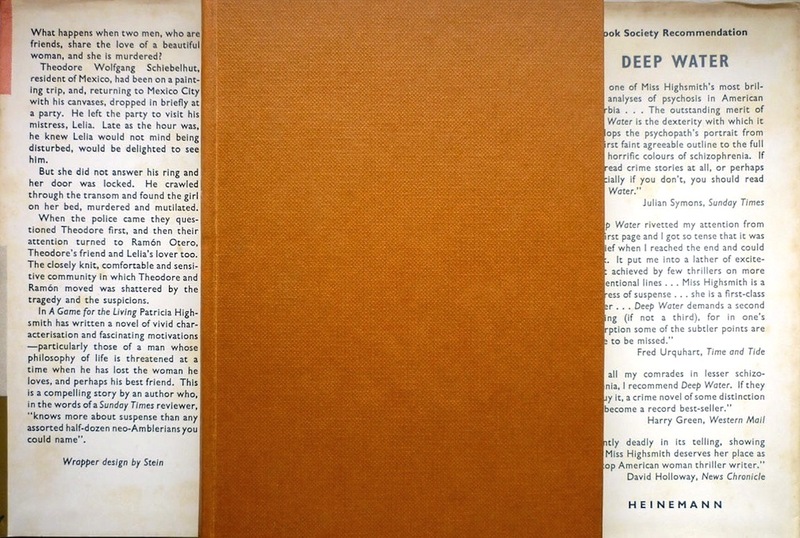 You may like the final Highsmith DJ I'll be showing too; it's not quite as splendid as the Game for the Living one, but it's still very nice, and never-before-seen online (er, I think).